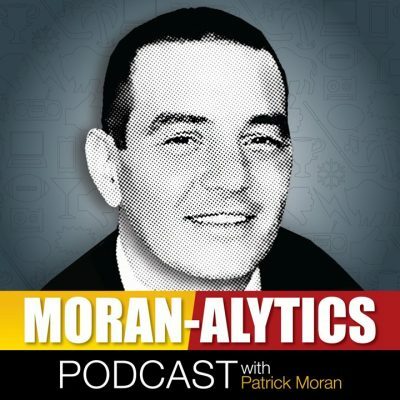 On this episode of the Moran-Alytics Podcast, Patrick Moran is joined by Adam Caplan, former ESPN NFL Insider and current SiriusXM Radio host. One of the best reporters in the business, Caplan (@caplanNFL) spends a little time discussing the Buffalo Bills and several other teams around the league; including Cleveland, Tampa Bay and the LA Rams. However, as usual with guests on the podcast, Moran spends even more time pulling back the curtain to give fans an opportunity to get know Caplan well beyond his NFL expertise. We discuss Caplan’s growing up near Philadelphia, his early obsession with fantasy baseball, working for Scout.com on a path that would eventually lead him to ESPN in 2013 and a key role on their NFL Insiders show. Caplan also reveals his feelings of being a victim of the ESPN layoffs last year, a group that included among others Andrew Brandt, Jason Stark, Andy Katz, Mark Stein and Ed Werder. We also learn a few anecdotes Caplan rarely talks about, including the story of where he met his future wife and his time working wrestling events and one night in particular that led to Vader getting heated at him.